Robbie Griffiths would like to give visiting German jockey Martin Seidl his first victory at Flemington in the hope it may open up more opportunities. 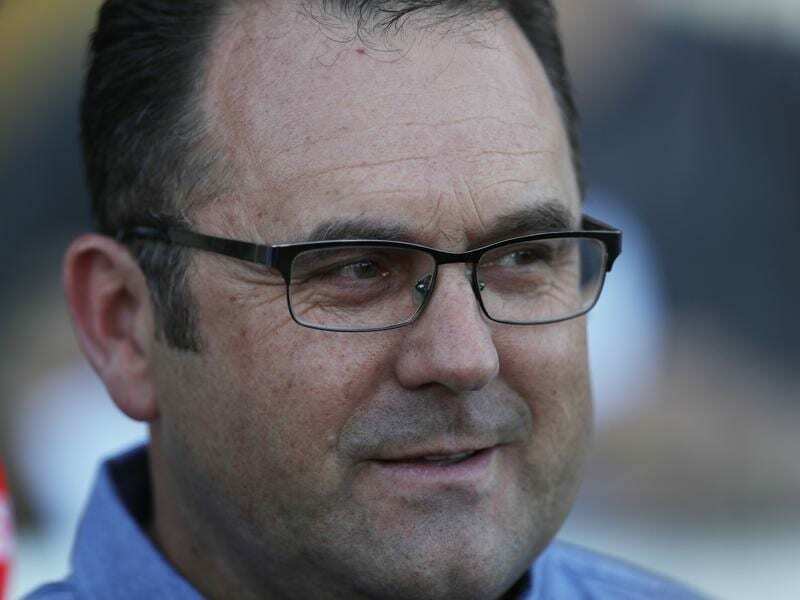 The trainer says a win at headquarters would be timely for Seidl who returns home in late March. Seidl rides Robe De Fete in Saturday’s Christmas Raceday Trophy (1200m) after which he heads to the twilight meeting at Benalla for two rides. His Australian foray struck an early hurdle when he was suspended at Sandown last month, but three winners in the past week is the spark Griffiths hopes propels Seidl to better things. Griffiths said Seidl was the No.1 rider for Germany’s second biggest stable and with northern hemisphere racing now in the off-season the jockey wanted to expand his horizons. “He’s mates with Jason Swift, the grandson of Scobie Breasley, who has horses with us so that how it came about,” Griffiths said. “He’s got a great CV. He rides light and has very good hands and great skills. “He asked me and I was happy to put him on but I thought he’d be better with someone like Darren Weir or David Hayes who have bigger numbers, but he wanted to work in closely with someone. Griffiths is not sure Robe De Fete can give Seidl the breakthrough with the colt racing down the straight for the first time. The trainer wants to turn Robe De Fete into a front running 1400m-horse. “I thought he was pretty ordinary at Pakenham last time but the Racing Victoria vet scoped him that day and said he swallowed a bit of dirt, so maybe that had some bearing on it,” Griffiths said. “He’s trained pretty well but he hasn’t been down the straight.